Efficient. 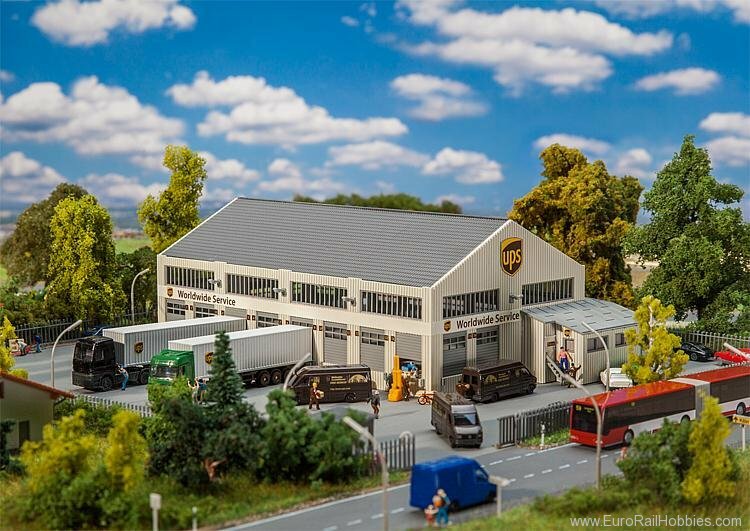 Generous transport and storage capacities are offered by this single-storey construction with double pitch roof, trapezoidal sheet facade, strips of windows and annexed office of the »United Parcel Service of America, Inc.« offering Courier, Express and Parcel service. The smooth flow of arriving and leaving goods is ensured by 19 loading/unloading platforms fitted with rolling shutter doors, while up to 10 of them can be fixed in the open position. Expandable in length and width by juxtaposing several models.